Not many of us would remember the child we snubbed at who appeared at the window when our cars were stuck at a traffic jam the last time. Where we do not sit back to think what compels them to come out in the streets even, at times, in extreme weather conditions, Devanshu Kakkar, a PGP-I student of IIM Lucknow, shares his insight. Wonder the eyes of those children and orphans who stare at the school going kids, holding the fingers of their parents. Why most of them wouldn’t wish to go to school but to be at least under the care and guidance of someone? The question chased Devanshu since his days in school when the kids in their once-green, blue, grey clothes-turned-rags would stare at him. What started off as a question took the form of an endeavour to make a difference to the lives of these small ones, to give them hope and support to live their dreams and not dream their sweet-might-have-beens. 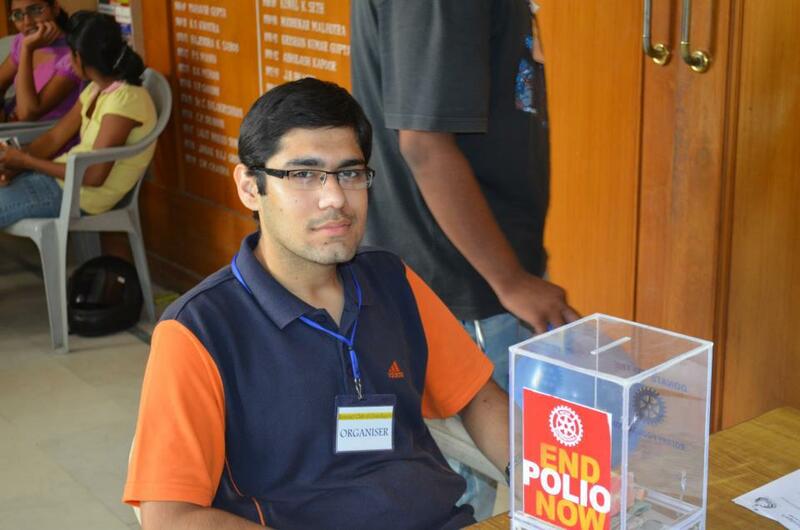 Devanshu, beyond the red bricks of IIM Lucknow, is now an active member of the Rotaract Club. Our country has 2500 Rotaract Clubs and the members are the youth. They run schools and conduct classes for students from diverse backgrounds and are achievers in their own domains. “One of my students was a national level karate player; another was an actor in a theatre. They cross hurdles and difficulties every day. Stories of their achievements and wit can run for pages,” he recalls. The club also encourages promotion of culture and values that are specific to the state it functions in. The children love festivals and their joy knows no bound when they celebrate Diwali, Children’s Day and many more. “I would suggest others to keep their motivation going irrespective of how the other factors affect you”, he says about the young crowd of people who aspire to create an impact through an initiative like his. In his words, “This is a success for me. Even if it has helped only one child, I would be glad since my help would touch a generation. I would love to carry on my work with the Rotaract club in Lucknow. I have plans.” Devanshu is a perfect epitome of all those who want to follow their dreams in life.